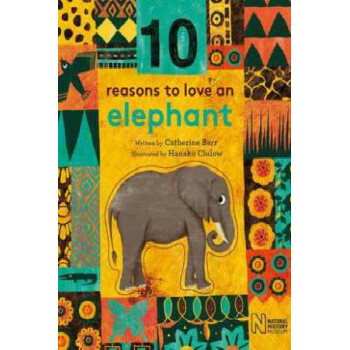 This brand new series from Frances Lincoln Children's Books, part of our Natural History Museum programme, gives children 10 reasons why each animal is amazing, and five ways they can show they love it! Elephants go on incredible migrations, know that granny knows best, can incredibly clever and can scare off lions with their huge ears. Show you love them by buying FSC products and NEVER buying anything made of ivory. This gorgeous, gifty book, written by non-fiction expert Catherine Barr, is a must for any young animal enthusiast.